Traditional Kerala House Architecture catered to the needs of infants and toddlers in many ways. The Kidappumuri or Bedroom had provision for an Aatuthottil close to the mother's bedside; special areas where children's toys were kept and certain arrangements in the Kulimuri or Bathrooms for bathing the child. 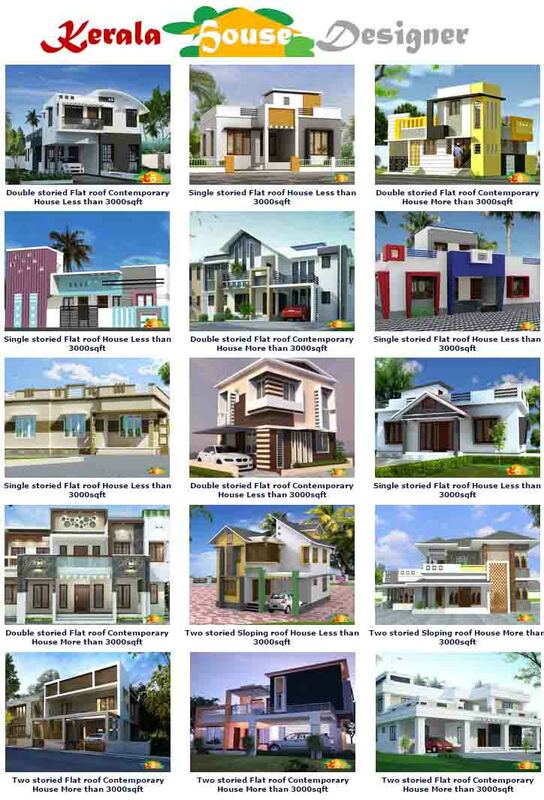 In Modern House Design, these arrangements are more elaborate, with specialized rooms for children. When you think of setting up a Children's Room, there are many things to be considered like- the gender of the child, the interests and aptitude and the evolution of the room as the child grows. Boys and girls generally have different colour-orientations. In the west, girls are often associated with pinkish themes and boys with bluish themes. The idea is to make the room vibrant with colours, which creates an environment of fun and enthusiasm, rather than a monotonous formal colour. Specifying areas within the room for play, study etc will instill concepts of discipline within the child at an early age. A Play area- Play areas for younger children may include an arts & crafts center. Most children love to draw and color, so set aside a comfortable space for working on crafts. You may also want to consider hanging a chalkboard which can be used for drawing or it can be a great teaching aid for you. A Reading area- Most children love to read. Provide a quiet and comfortable space that will entice them to do this. If you have the space for a comfy chair, perfect. If not, an over-stuffed floor pillow or two should do the job. Also remember that good lighting is essential for this activity. Space to entertain friends- This becomes more important as children get older. They'll want to spend time in their room with their friends. Depending on their age, a small entertainment center, that includes a radio or DVD Player may be appropriate. A Display area- Children love pictures. So dedicate a wall (or use a corkboard) to display your child's favorite photographs and artwork. Pictures of family and friends will add to the comfort of the room. In addition, pictures of the child as they grow are interesting and will add familiarity and warmth. Children are very proud of their artwork…display it with pride! A display area for school awards and memorabilia can also be set up so as to encourage the child's achievements. Safety is one aspect that has to be given the utmost importance. Avoid sharp edges and loose surfaces. Do not leave substances that are volatile or poisonous in the room. Be careful with the positioning of electric sockets or other potential hazards. 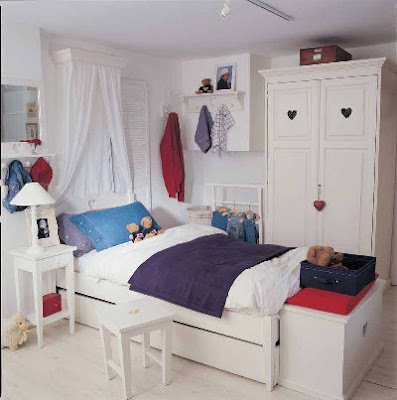 One trend in Children's rooms is to have an animated movie theme or a favourite cartoon character theme. While this can be exciting and playful, the theme may have to be updated as years pass by. Give the child enough freedom in modifying the room, but be there to guide appropriately. Never let the room get cluttered as this will lead to an undisciplined mentality. The child should be instructed to properly arrange and organize the room before going to bed. 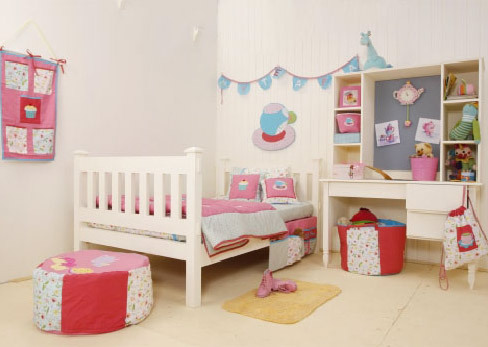 The Children's room is where you instill the basic qualities of discipline and organizing skills.